You already know about our love for Winter Water Factory‘s baby gowns (see here!) so you can guarantee we were thrilled to try out their clothes for kids as well! Their new Spring 2013 line is vibrant and hip, and the pieces are easy and all about comfort! 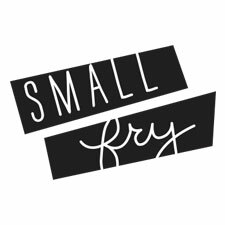 Their line is 100% organic and made in the USA from start to finish. In our line of business we’re finding that claim is becoming more rare, we commend you Winter Water Factory! Also a big thank you to Twig Creative for supplying this shoot with these incredible woven chairs. They launch TODAY on Twig, hurry over, they’re absolutely gorgeous in person. 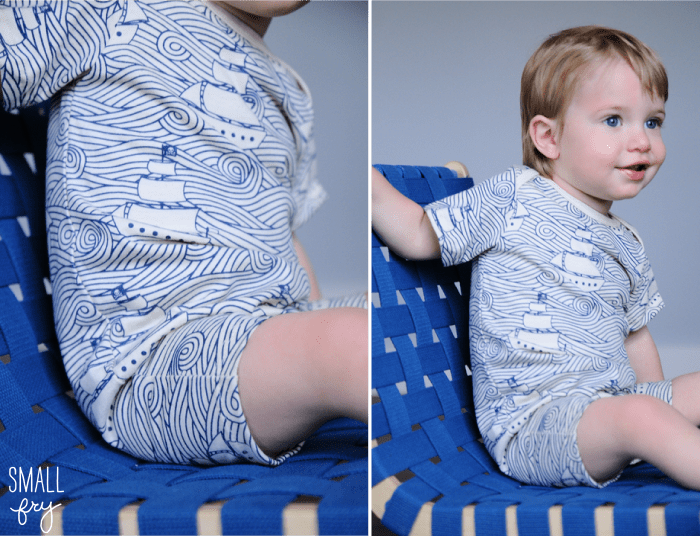 Jude in The High Seas Navy Romper. 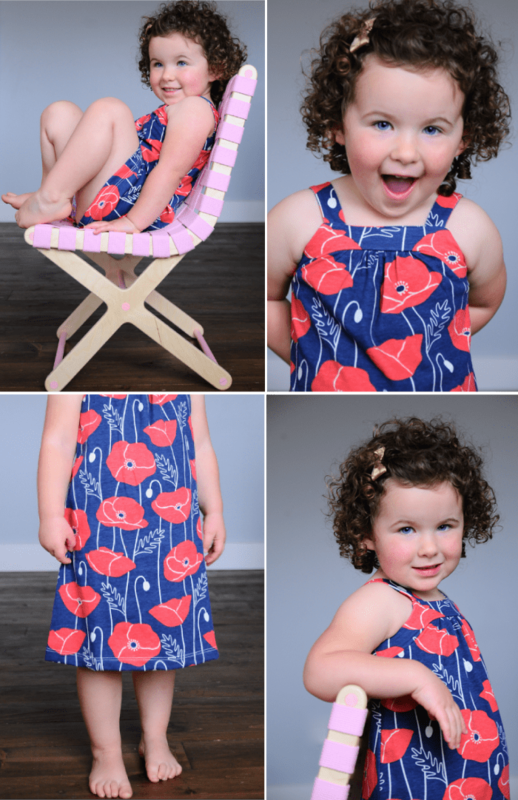 We love our friend Joy’s guest design rompers, too! And a few more we’re digging! These pieces have us aching for Summer. 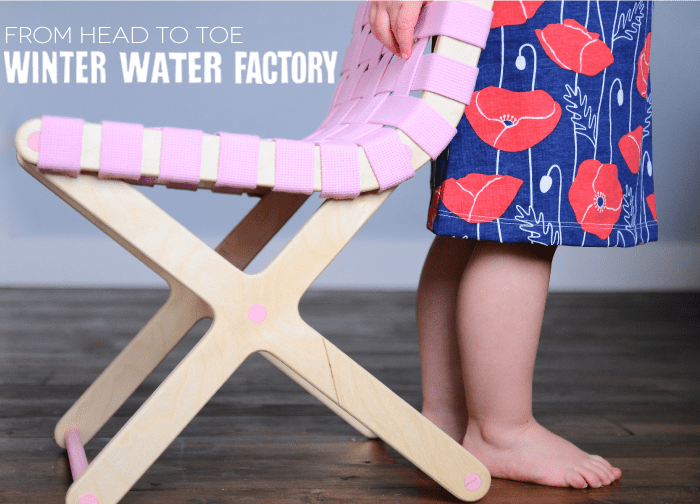 Follow Winter Water Factory on Twitter, Facebook, Pinterest and even a behind the scenes blog, here! It is so rare that I come across a company (let alone a CLOTHING company) that is made in the us. I can’t remember the last thing clothing item I purchased for the kids, thanks so much for introducing this line. I’m already on their website shopping! Absolutely adorable clothing. I have it bookmarked!